So, as a person who doesn't play many computer games anymore, but still has a large interest in them for some reason, I'm intrigued by the revivals of games that meant something to me. Both Syndicate and UFO: Enemy Unknown were quite formative.Especially intriguing that these two games should be hyped at the same time, because i remember them from the same period of my life. They both came out in 1993, and though I didn't play syndicate at the time, I remember having an argument with Wij about which was better, both of us only having played one. We sparred off each other with feats that we thought only our game could do. Research, upgrading your team, tactical squad-based gameplay... They sound quite similar on paper. 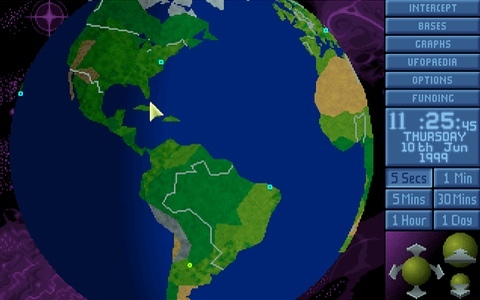 Later, when I had syndicate wars, I realised how different they were. As well as the matter of real-time vs turn-based, Syndicate gave you absolutely no punishment for killing civilians. Bystanders were little more than hedges, although they could be captured and armed, and oh the joy of working your way up the hierarchy of civilians, police, and eventually agents to capture. Syndicate gave you the freedom to do anything - murder citizens or local police, steal cars, rob banks, nuke office blocks - without consequences. UFO let you do anything, but everything had an impact one way or another. To different extents, these both both hugely emergent games. UFO's levels were randomly generated from set pieces; you had no idea when you landed what you were going to face. On the other hand, Syndicates cities were set-up to deliver unexpected consequences to your actions, and to reward improvised solutions to problems. They were sandbox-y enough to work as both living environments and missions. I've just been playing syndicate wars again recently, and what strikes me is how much of an action game it is, when it's remembered more for tactics and strategy. Syndicate was already a lot more like Doom than UFO; it was fast (when the action kicked in), and it was your reactions and aiming that was the defining factor, not the qualities in your team. In Syndicate, you screwed up when you missed (and missing with the LR rifle sometimes meant all four members of your squad couldn't shoot again for ages); in UFO, you screwed up when you didn't sufficiently plan for the risk of your troops missing. Syndicate had some of the trappings of tactics and rpgs, but wasn't really a plan-ahead strategy game; on the one hand, you couldn't save mid-mission, and the missions could be big, so there was a lot of casing of joints, a lot of reconnaissance, and then only as a last resort, loading when things went wrong; but mostly, it's a trial and error game of learning to respond to ambushes before they happen. The only stats bonuses your drones get are the three levels of 5 different cybernetic implants on offer, and I've just maxed all those out by half way through the game. With the 'remakes', Both the trailers for these games have similar, 2010s trappings - linearity, cut-scenes (press x to extract chip OMFG), sops to rpg elements with lame-o-rama upgrades, and chest-high walls. But I can totally forgive a large amount of the changes in Syndicate; the remake actually seems to capture some of the atmosphere. Hacking into people's brains is totally what Syndicate was all about (in that it ripped off loads of cyberpunk), even if the choices you have when you've hacked them is only 'suicide'. And bundling a four-way co-op into the bargain is great, because Syndicate Wars offered the same thing. XCOM, on the other hand, has thrown the baby out with the bathwater, and kept nothing but the name and the vague concept (which only bears as much relationship to UFO as to any other game ever. It might as well be a remake of R-Type). What I really resent about both remakes is that they put you into the action. In the old syndicate games, you controlled brainless drone cyborgs in trenchcoats, expendable up to the point of having been financially invested in. In UFO, your people were incredibly valuable to you - but you were not one of them. Now, maybe these plot elements were dictated by the available technology, and the fact that in 1993 people were still more used to playing action games from a third-person view (like alien breed or chaos engine). But the change of perspective makes you the action hero, not the boss. It means your the actor, not the director or script writer. The story of the game was always the same, but the details were all up to you. But now every play through will be the same. So why call the new UFO game XCOM at all? I could ask the same thing about the new Syndicate; while it might capture the spirit of the original, the setting is so hackneyed that there's no sense in just taking the name. My point is, the perspective makes the game. It dictates the feel, and it grows stories from the missions in your head but never get put into words. Are we looking at the death of emergent gameplay in mainstream games? No, as exemplified by the popularity of GTA and Elder Scrolls. But I find it a worrying trend. There's a more sinister point. Only a small minority of gamers today were playing games 20 years ago, when the originals came out. And they are not the ones these reboot/sequals are aimed at. So why acquire the licences at all? Because of this lot (I mean games journalists. I googled 'games journalists' and a picture of Gillen came up, albeit in his role as a comics writer). The fact that these games have something - anything - to do with games from the fondly-recalled childhoods of the people currently rating and reviewing games for the mass market, is basically free advertising. The companies know that it means the game will get talked about, talked up, and given an extra chance when they might not have deserved one, as oppose to just flopping out of the industry like every other fresh-faced product. It's the cynicism that's so depressing. Despite the fact that the games aren't sequals, aren't in the same universe, aren't anything to do with the earlier games, doesn't matter. 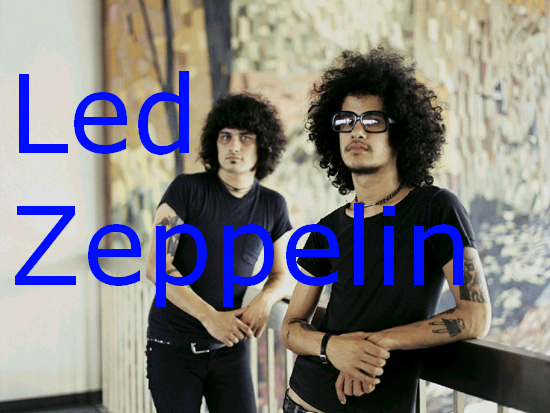 It's like a Led Zeppelin tribute band, who are allowed to call themselves Led Zeppelin, and play songs that LZ didn't perform. It's like when they made Inspector Gadget: the movie, and showed The Claw as a person from the outset. The whole point of IG is that you never see The Claw beyond his eponymous hand, you don't even know if he's human. Sigh. 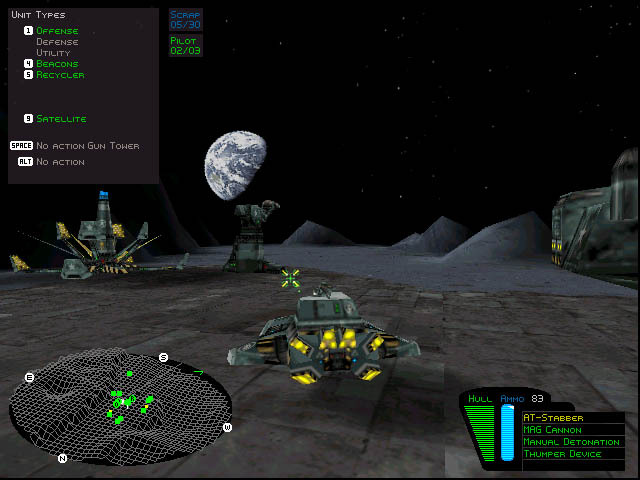 So Why do I have time for 1998's Battlezone - a remake arguably as flimsy as the ones I've discussed above? BZ was so far removed from the simplistic gameplay of the 1980 original (note the similarity in timespan) that it could have come from two directions: either they said 'let's make a new 'battlezone' game', and just not stopped adding more and more cool stuff; or, more depressingly, some creative types had this wonderful idea for a game, set in space, that combined strategy and fps elements, with a plot, where you could build and ride around in tanks; and then the managers said "did you say it has tanks in? let's call it battlezone, for some free publicity!". Ultimately, it's just a good game, irrespective of it's licence, which meant nothing to me at the time. But maybe I'd only heard of it because of the backroom shenanigans that led to it being given a name familiar to games journos of 1998. So I suggest remaking another classic 1993 top-down strateg-action game: Cannon Fodder. Remake cannon fodder? As a linear, cover-based FPS? Could it be done? Of course. Because it needn't have to be anything like the original; As long as the name's there, and the journos are excited, the bosses are happy. let's do it. Jools and Jops for 2012! Interesting, why dune 2? I don't think I see the connection. When that was remade, it was remade as the same game with better graphics.